In some ways, 2017 was a surprising year. I was expecting it to be all doom and gloom, and it certainly had its moments of awfulness, but lots of things happened and I’m surprised how much I managed to do over the year. Kids growing up: all teenagers now, some work trips to America and Singapore and a very enjoyable holiday in Wales. Day trips to Waterford and Kerry. Added to that were trips to see Brian Cox and Alt-J in Dublin, as well as hosting Professor Edzard Ernst here in Cork. I was busy at work though, and this resulted in me taking less photos and being less active online overall. I tend to get bored taking the same types of photo all the time. Ballydowane is a wonderful rocky cove near the coast road between Waterford and Tramore. It’s off the beaten track, but worth the spin. This tiny island is a regular subject of much local photography. I took this photo in early January. Dromana Gate is located near Cappoquin, Co. Waterford. The gate is a Hindu-Gothic design originally built in wood and papier-mâché to celebrate the marriage in 1826 of Henry-Villiers Stuart and his wife Theresia Pauline Ott. It was later reconstructed in stone. It’s a fascinating structure – out of place for Ireland, yet a reminder of our varied cultural heritage. I used to pass through this area of the country almost every week when I was a child. The River Barrow flows here, on its way to Waterford Harbour. It’s an area of steep ground and great views to New Ross and beyond to the Blackstairs mountains in Carlow. A large bridge is being built here at the moment, which will take traffic from Rosslare to Waterford, avoiding the narrow bridge in New Ross, which has been a bottleneck for decades. During the summer, I took some photos in the fields close by the house. Some of them turned out well, I think. Lismore is a terrific place to go for a day out – the gardens are a real gem and the castle is such an imposing edifice over the Blackwater River. This photo was taken in May with the Rhododendrons in full bloom. I took this photo with my iPhone in early June, patiently using burst photography to try to get the right shot. For a phone camera, the results worked out quite well. In late June, I ventured with a group of friends into the Comeragh Mountains. We did the Coumshingaun Horseshoe. It’s one of my favourite walks in the country. A hard slog at the beginning, but it levels off quickly. The views are delightful. This was the year we explored the Waterford Greenway properly – travelling over two different days the length of the route from Dungarvan to Waterford. It was fantastic. A relaxing journey, but not by any means trivial. A great centrepiece of the Greenway is the viaduct in Kilmacthomas. In July we travelled to Valentia Island in search of some of the largest tree-ferns in the country. We ended up in Glanleam house, walking through jungle paths, eventually breaking out to see some of the finest vistas Ireland has to offer. This picture was taken near the Tetrapod Trackway. On one of the summer days, we took a bike trip to Roche’s Point. This is the picturesque entry point to Cork Harbour, offering stunning views across to Crosshaven. I had a wonderful week with the kids in Wales. Cardiff Castle is one of my favourites – it dominates the city centre and it gives people an opportunity to walk through centuries of history. And what a history! Norman dungeons to gruesome medieval punishments. I’ve wanted to go to Stonehenge for years. It’s one of the most iconic locations on Earth. And, right, it’s a busy place in summer – crowds of tourists everywhere. But I wasn’t prepared for the vast expanse around it, the barrows, the Cursus, the feeling that this area was a big deal millennia ago. A prehistoric Roman Forum, Mecca or Vatican City, of which no written clues have been left behind. If you are in England, I urge you to go. Bath is a city like no other. There is a deep sense of beauty in this Roman city, built of Jurassic stone. Modernity and great antiquity side by side with each other. I was here many years before, but I had forgotten how beautiful this place is. In the distance is Worm’s Head, a tidal island that’s connected to the mainland for a few hours each day. While Santa Clara valley is not the prettiest place, close by are areas of wonderful natural beauty. I was there in August, and one evening I took a trip up Sierra Road near Milpitas to watch the sun set over the valley. It was worth the drive. The Pacific Coast Highway is a favourite place of mine when I go to California. I always find something new on this route, and last August was no exception. This is Shark Fin Cove, not far from Santa Cruz. The Gap is one of the most scenic walks in the Comeragh Mountains. Starting from the car park in the Nire Valley, it’s a relatively easy walk followed by a steep ascent to the plateau. I was fortunate to be able to travel to Singapore again this year. It was so strange being in city so warm and humid when temperatures were in the single digits back home. After work, we would make a special effort to see different parts of the city. The area around the Marina Bay Sands and the Singapore River are particularly picturesque. So, quite a year last year, all said. Some great memories and interesting places visited. 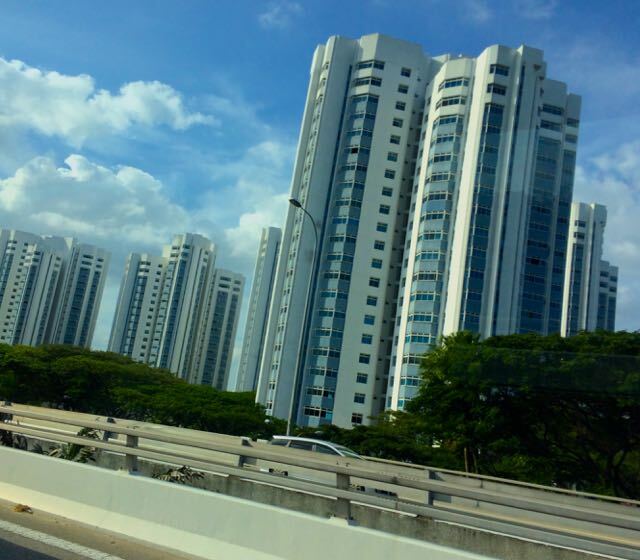 I travelled back to Singapore last week – a welcome change from the bitter cold of Cork in January. While it was mainly a work visit, I got a chance to do some sightseeing. Singapore is a tiny island, not much bigger than metropolitan Dublin; but it packs a population of over 5 million people. Because land is not an option, people build upwards. Thousands of apartments dot the landscape. The racial mixture in each block is carefully managed to promote harmony amongst the resident ethnic populations. 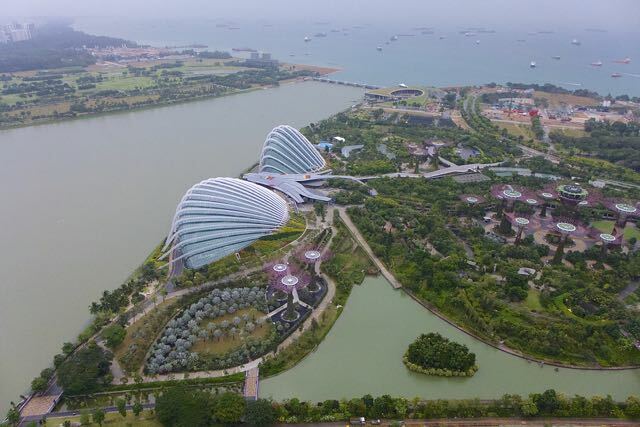 There are a lot of tourist attractions, particularly around the Marina Bay area. The Gardens by the Bay, shown above, is particularly spectacular at night, with stunning colours and a laser light show illuminating the park. 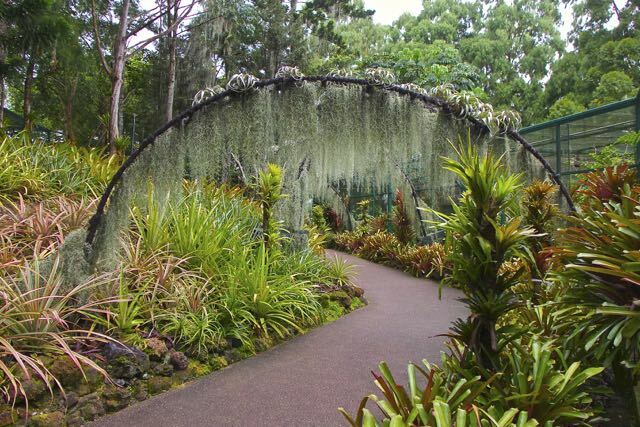 We did not go to these gardens; instead we went to the Singapore Botanic Gardens. It’s a gem. I’d love to have spent a few days there. The National Orchid Garden is a must-see. Here are a few examples of the flowers on display. The Orchard Road area has some interesting street art and artistic gems. Here’s a piece that particularly impressed me. At a distance it looks like a large urn, but when you look closer, the whole vessel is made from just 4 letters. Very clever. A few years ago, the Irish National Archives digitised the census documents of 1911 and put them all on the Internet for us to see. Long-forgotten grandparents and great-grandparents were suddenly transformed into young fathers and mothers, small children and teenagers. New names were introduced to us. We were given a feeling for their occupations, their family circumstances and their positions in society. Limited though the census documents were, these people who lived a hundred years ago came to life in front of our eyes. This was the Internet at its best, providing us with a window into history. I’m reminded of this because Google Inc. recently opened Street View to the country of Ireland. Almost every road and boreen has been mapped and it all now comes to us in full 360 degree panoramas, each image no more than 10 metres apart, covering 80,000 kilometres of roadway; terabytes upon terabytes of information freezing the Ireland of 2009 and 2010 in perpetuity. What a treasure trove of information for the future historian. It is now possible for our children’s children to see Ireland exactly as it was during this time. They will see our dress, our cars, our gardens, our farms and our workplaces. They will witness history in the making as the Irish boom economy shuddered to a dramatic halt: the newly constructed motorways and bridges alongside the empty buildings and ghost estates; the Polish and Lithuanian shops that signified a new era of multiculturalism and the wind turbines making their appearance over the landscape as we began the painful process of weaning ourselves off the seductions of fossil fuel. Presumably these Street View images will be updated regularly, so not only will it be possible to see Ireland as it once was, but also how our country changes gradually throughout the century. I’m assuming, of course, that all these records will not be erased; a reasonable assumption should Moore’s Law continue to hold sway over the coming years. If there is a snag, it is that all this data is the property of a successful private company whose primary interests do not necessarily coincide with those of the citizens of a sovereign state. Although there is no sign that Google are carrying out this mapping effort with anything other than the best of motives, whether they will continue to act benevolently and responsibility with such information is a difficult question to answer. A hundred years is a long time – long enough for industries to grow and disappear and for companies to change utterly from what they once were, if they exist at all. Public information – photos of many the roadways throughout the world – has been privatised. Governments should now be thinking about how that information should be placed, eventually, back into public hands. With Street View, Google have created a resource of unimaginable value for future historians. Here’s hoping it’s there for all to see in the years to come.